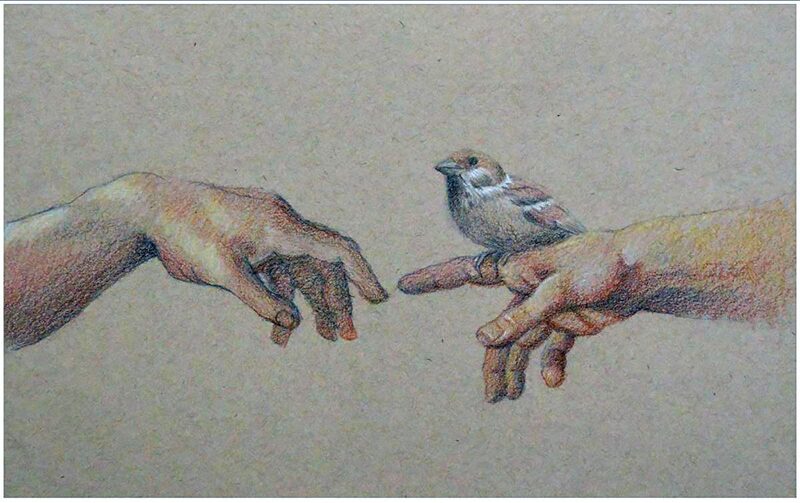 "A Tweet for Michelangelo" by Berry Fritz. This marks the first time Berry Fritz holds an exhibition of her drawings; we know her as an accomplished oil painter. 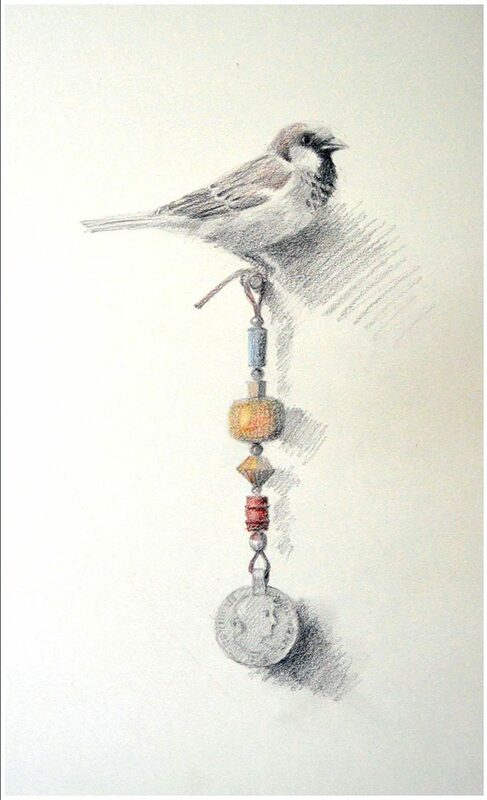 “Birds, Beasts, and the Saint Who loved Them,” on display at UVAL in Mission is a collection of 23 works, including pencil drawings, a token representation of three small oil paintings, a surprising trompe l’oeil still life painting and installations of successfully abandoned bird nests. A brief variety of animals, birds (mostly sparrows) and St. Francis of Assisi are her subjects. Although Fritz imbues all her subjects with personal warmth, what is immediately striking about the drawings is their visual sense of softness. The combination draws us in. 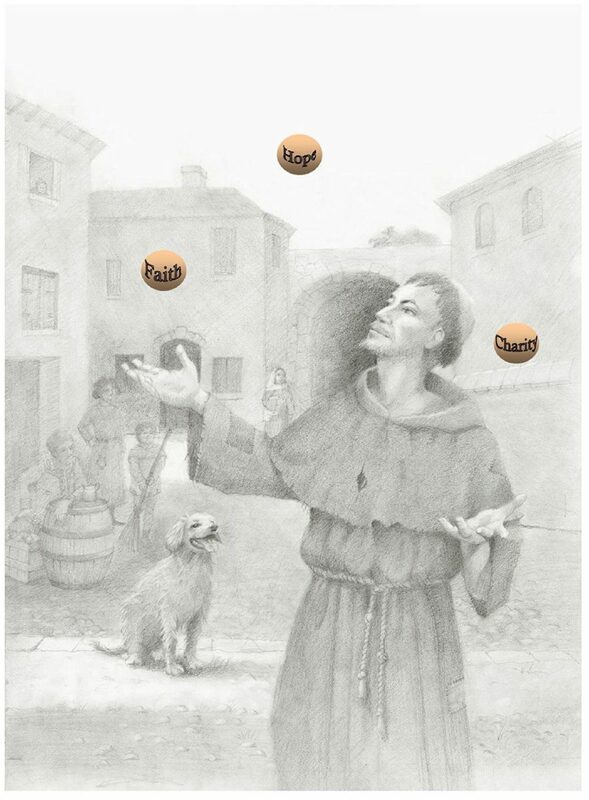 Fritz is an artist whose oil paintings have always connected brilliantly with master artists of the past, and that pattern continues with drawings expressing the traditional technique of sfumato, one of four canonical painting modes of Renaissance art. "And the Greatest of These is Charity" by Berry Fritz. Indeed, these drawings by Fritz appear to have been drawn with a vapor, gently forming descriptions of her subjects. 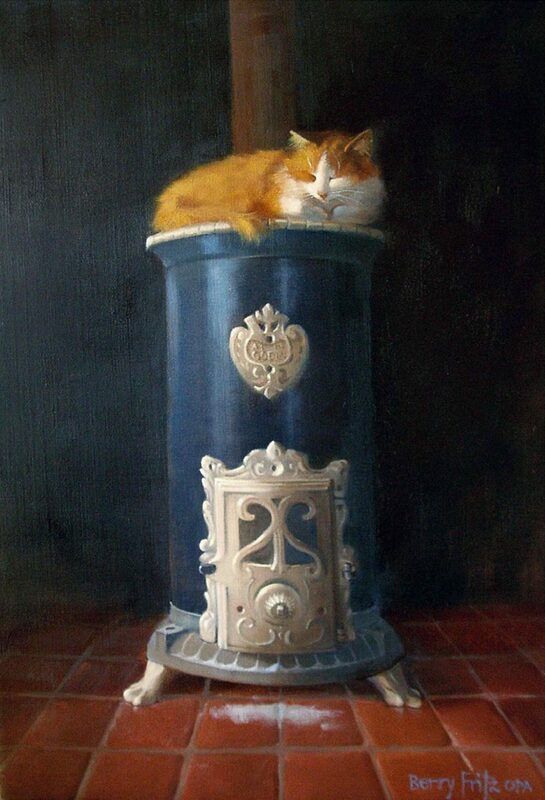 Most of the works stay in a mid-tonal range that enhances the soft, smoky vision. 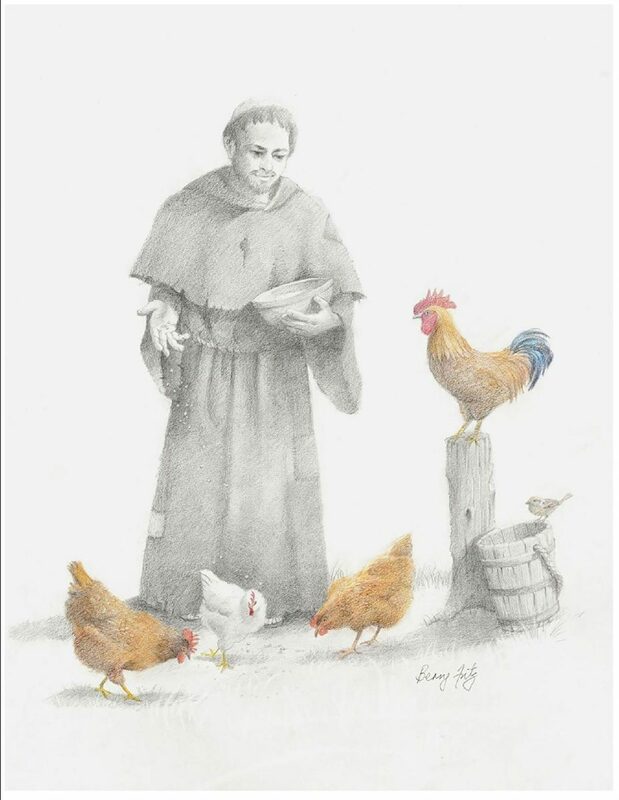 For the St. Francis series, Fritz has imagined the Saint in probable situations with birds and beasts as in “Feeding the Chickens,” in which he is depicted in his tattered robe with four chickens and a small bird. No-tably, in this drawing, the chickens are richly drawn with colored pencil, imbuing them with a sense of importance amidst the group of achromatic sfumato images. 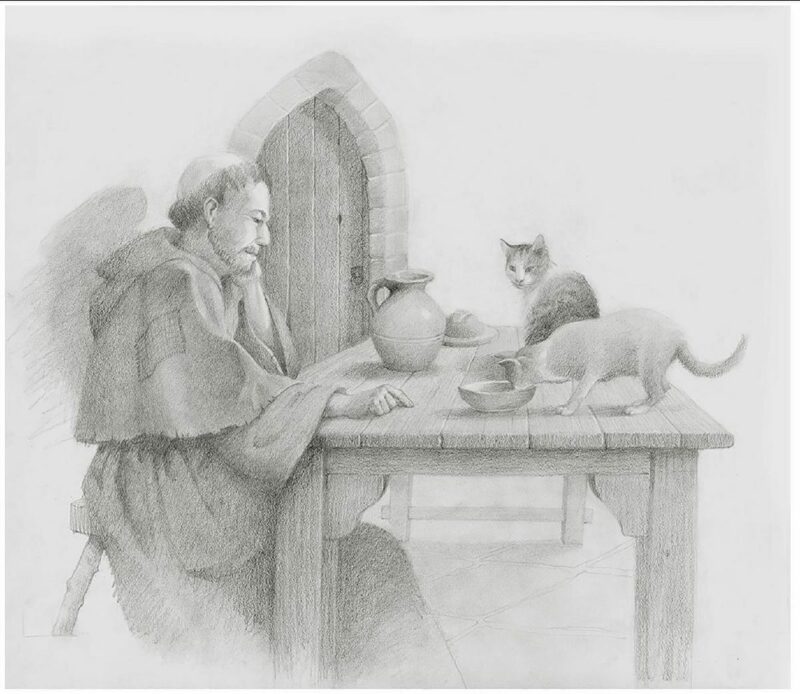 This is the only one in the series of five St. Francis drawings that has color. Fritz admitted that St. Francis has been on her mind for years. A friend who had given a talk on the Saint agreed to pose for the drawings. 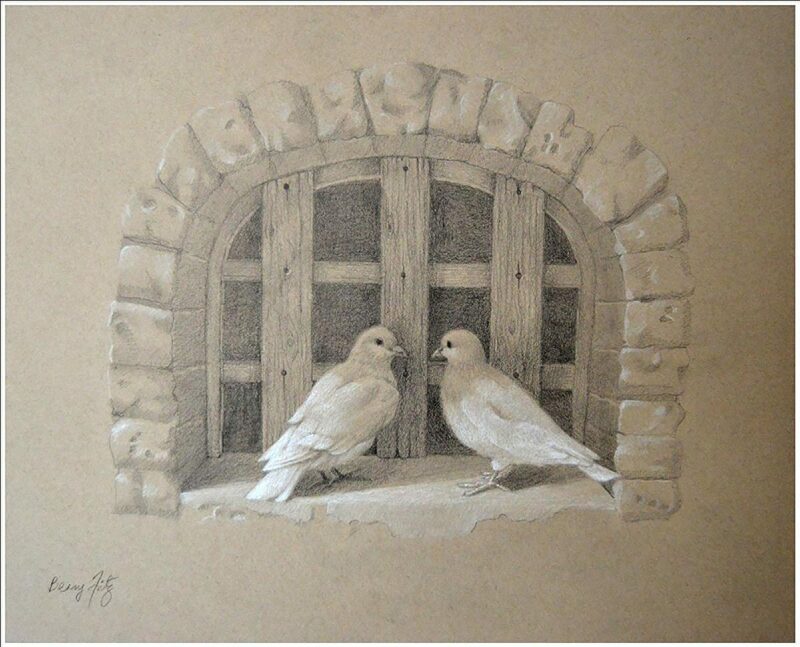 The sparrows that appear often in these drawings are a part of her life. Acknowledging them as an introduction to the other drawings, “A Tweet for Michelangelo” speaks of whimsy, which is often found in this artist’s works, but also reinforces the Biblical canon, the Renaissance, and pulls us into contemporary word usage all at once. Fritz’s use of whimsy occurs throughout the collec-tion, such as in “Cat and Mouse,” in which a mouse gazes upon the deathly skull of a cat.